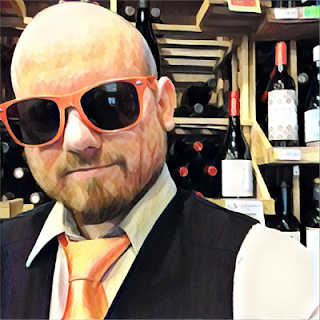 Malbec World Day is on the 17th of April and I've got five wines from Argentina to review leading up to the big day. 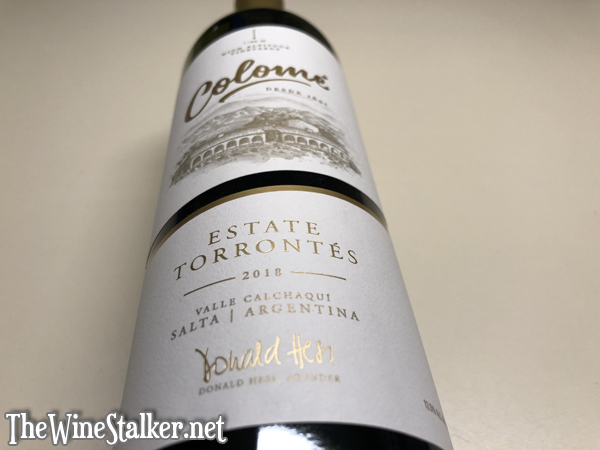 I'll be doing full reviews on Colomé wines with their 2018 Estate Torrontés (which I'm reviewing right now), their 2016 Estate Malbec, and their 2017 Auténtico Malbec. And I'll also be doing some quickie reviews of Amalaya wines, starting their 2018 Blanco and ending with their 2017 Malbec on Malbec World Day itself. Both Colomé and Amalaya are owned by Hess Family Wine Estates. The 2018 Estate Torrontés is 100% Torrontés from the La Brava Vineyard estate at 5,500 feet above sea level in the Upper Calchaqui Valleys of Salta, Argentina. Everything was done in stainless steel and it spent 3 months aging in the bottle before release. I reviewed the 2015 vintage back in 2016. The color of the wine is a pale yellow with silvery edges. On the nose there's aromas of lychee, grapefruit, perfumey roses, vanilla bean, and a drop of spearmint. It's medium bodied with a very bright but not overpowering acidity, and it doesn't have that chemically mouthfeel that I felt the 2015 vintage had, but it's rounder and almost rich in mouthfeel. All those aroma descriptors of lychee, grapefruit, perfumey roses, vanilla bean, and spearming return on the palate. Then it finishes with tart grapefruit, juicy lychee, and a drop of spearmint. This is a very nice Torrontés and I gotta give it a recommendation. For some reason I'd really like some popcorn with this wine.